Let the professionals do the heavy lifting while you save money. 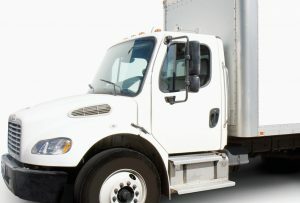 Use our movers with your rental truck at a fraction of the price of using traditional movers with a truck. Our movers will help you with any loading, unloading, shrink-wrapping, basic disassembly/assembly, and on-site rearranging that you need. You saved lots of money renting a truck and hiring local movers separately! We always give you clear pricing for your moving labor help. There are no surprises on moving day, either. The price you see is exactly what you will be charged by your movers. There’s no hidden or surprise fees. Our parent company, 2 Guys 4 Hire LLC, is the #1 moving labor company in Colorado and performs over one thousand moving labor jobs each year. We know the Moving Labor industry. We only partner with the highest-quality movers in your area. Don’t waste your valuable time sifting through dozens of local moving companies. The moving labor experts already have! Our free online do-it-mostly-yourself moving guide, DIMY Moving Academy, is a valuable resource. Get helpful tips, compare truck and container companies, and more. We offer nationwide service so you can have moving helpers on both sides of your move no matter where you go. Click here for an instant moving labor quote and see how much money you can save on your next move.